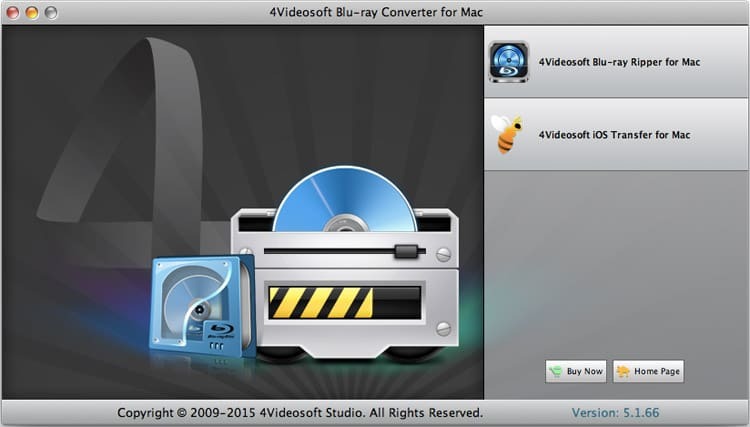 4Videosoft Blu-ray Converter for Mac is packed with two important programs: Blu-ray Ripper for Mac and iPhone Transfer for Mac. You are allowed to convert Blu-ray discs, DVD movies and general videos to popular video formats like MP4, MOV, M4V, AVI, FLV, etc. It enables you to transfer files between Mac and iPhone without any loss. 4Videosoft Blu-ray Converter for Mac enables you to convert Blu-ray and DVD movies to ordinary videos which are able to play on your portable devices like Samsung Galaxy S4, iPhone 5, iPhone 4S, iPad 4, iPod nano, BlackBerry and more. 4Videosoft Blu-ray Converter for Mac is professional in converting other popular videos like TS, MTS, M2TS, MKV, MOD, TP, etc. to mainstream videos like MP4, MOV, M4V, WMV, AVI and more. 4Videosoft Blu-ray Converter for Mac allows you to transfer music, movies and photos files between iPhone and Mac. What’s more, you are able to transfer files from device to device. 4Videosoft Blu-ray Converter for Mac provides you with professional editing functions so that you can optimize the output video freely. You are allowed to modify the video effect by controlling brightness, contrast, saturation, hue and volume. It allows you to merge several videos into one as well as add text and image watermark. You can reset the video length and frame by the trim and crop functions.